The role of caregiver for an aging parent or other family member is traditionally filled by women. You may tend to picture women as caregivers to all segments almost exclusively. But although the stereotype of women caring for elderly relatives is widespread, it is increasingly inaccurate. A recent Pew Research Center report says that in the United States, men take on that responsibility in 45 percent of cases. Social norms are rapidly changing in 21st century America, and men are increasingly filling the role of caregivers for both the elderly and children. Also, as increasing numbers of baby boomers reach retirement age, there are simply more elderly people in need of care, increasing the need for men to step up and contribute. And because elderly parents are increasingly geographically dispersed, the proximity of a child, rather than gender, may determine who must take on that responsibility. 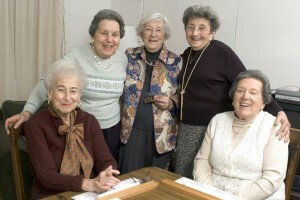 Community support groups specifically for caregivers. For more information, visit www.littmankrooks.com.